Compass Gallery is presenting an exhibition of new works by one of our regular exhibitors, Stuart Duffin RE RSA SSA. Better known for his printmaking, Duffin, for the last year has been concentrating on his painting. He says “I pick up the appropriate tools for the job which serve best to execute the ideas in my head and for the last year I have been painting, this also feeds back into my printmaking” Exquisitely executed, born from deep experiences, thoughts and beliefs, Stuart Duffin’s new exhibition of paintings, prints and mezzotints promises to be superb quality and a fascinating exhibition. A graduate of Gray’s School of Art, Aberdeen 1982, Duffin is a master printmaker and painter. Winner of numerous awards including Scottish Arts Council Award (1987), Gillies Bequest Award (2006, 2016) and British Council Award (2012), these prestigious awards enabled him to travel and study abroad. On a particular trip to Italy in 1984, Duffin saw Masaccio’s ‘Trinity’ in Santa Maria Novella in Florence for the first time. Its intimation of mortality and reminder of the transient nature of human life had such a profound impact on his attitudes and philosophies that he claims, in many ways, it has set the scene for practically everything he has achieved since. There has been a long and fascinating relationship between religion and science historically. These two, religion and science, have to be seen as indicative of a wider interconnected conflict of ideologies, religions and geopolitical power struggles. Duffin’s work connects with these observations. These deep thoughts feed back through his work. Whilst working at Senej Printmakers workshop, Moscow in 1992 he learned new techniques, methods and approaches also furthered his interest in church iconography and map making. During this time he witnessed the collapse of communism and the political and social systems first hand. Since then conflict resolution and coexistence have influenced his thoughts and work. He says, “I seem to end up in places of conflict or know friends who experienced it in Croatia, Yugoslavia, Russia and Jerusalem all of which have influenced my work and deepened my thoughts”. Duffin believes in the fundamental importance of drawing in any form or style, which allows any visual artist to turn to whatever they want to with genuine authority. His own delicately drawn images, exquisitely painted iconography, uses symbols of peace, doves and eggs to communicate the fragility of life. Stuart Duffin regularly lectures on his own work and Scottish printmaking to a wide range of arts groups. He will be giving a short talk on his new body of works at the opening evening of the exhibition. Duffin has had several solo exhibitions in Glasgow, Edinburgh, London & Jerusalem, and has participated in numerous mixed exhibitions in Germany, Ukraine, Spain, India and USA (see attached CV). 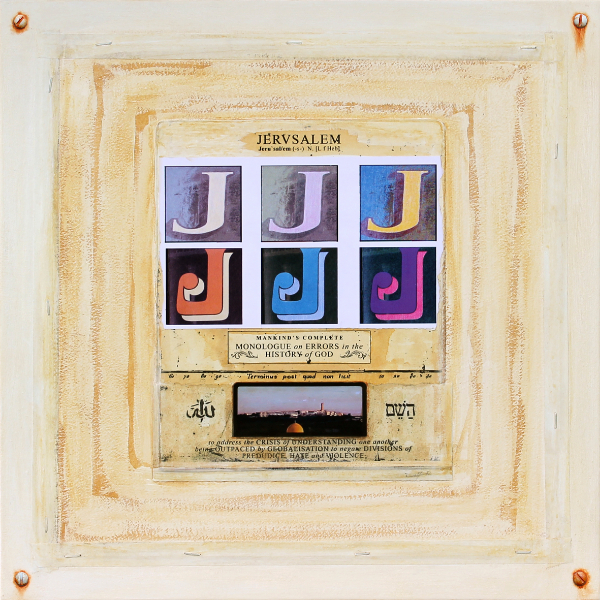 His work is in many prestigious public and private collections including the BBC, Scottish Arts Council (former), Glasgow and Strathclyde Universities, the Jerusalem Foundation, Kharkov and Yekaterina Museums and in the USA, Canada, Japan, India, Russia, Australia, New Zealand, Europe and the Middle East.